The out of the box experience for authoring templates in Visual Studio is a multi-step process that isn’t very amenable to incremental improvements. An exported .zip file does not encourage rapid iteration . 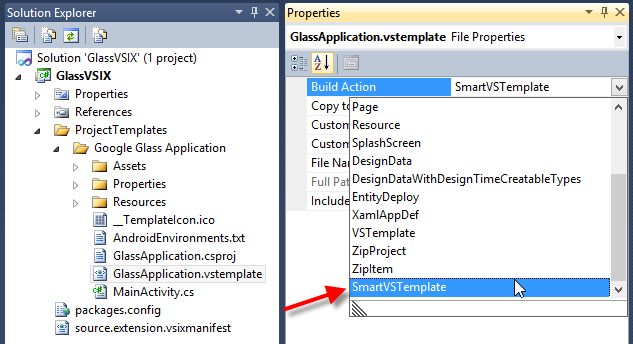 An alternative way introduced in VS2010 was a new project template.aspx) to generate a project (or item) template output (its compressed zip). Yup, if that sounds weird, it’s because it is. It’s a project where you don’t compile anything, but rather just work with the files with parameter substitutions.aspx) and the like, and where building means just zipping it. If you have just one template to distribute with your VSIX, that may be ok.
For more advanced scenarios, where reusing shared artifacts (i.e. same AssemblyInfo.cs, shared images, etc.) and having a faster build cycle is needed, Clarius.VisualStudio offers much smarter template authoring. We call these templates "Smart VS Templates". Just make sure that the template content files which are code files aren’t added as Compile or compilation will fail (because of the parameter replacement tokens like $safeprojectname$ and the like). Note that this is the manifest format for VS2010 extensions. We recommend sticking to the VS2010 format, since VS2012+ use a newer schema but also understands this older (and arguably simpler) format. This keeps your extension compatible with VS2010+. Note also that we strongly advise using abbreviated folder names for Templates\ProjectTemplates, using T (for Templates) and PT (for ProjectTemplates) or IT (for ItemTemplates). This will ensure you never hit long path errors on users’ machines. With that in place, your template will show up under the root category for your template language (i.e. "Visual C#" root node). Typically you’ll want to have your own category node within the Add New dialog for your templates, especially if you provide many. Smart VS Templates makes this straightforward. Just move your content one (or many!) levels down in the folder hierarchy, and VS will make those the nested categories for your templates. The paths in the new <Include> metadata node are relative to the .vstemplate path. Here we’re telling the Smart VS Template to include everything that’s two levels up under the Shared folder, recursively. We could also just include one single file if we wanted. Here we’re including a specific text file for (say) all Glass projects, then all code files (non-recursively) from the CSharp folder an extra level up, and then all the common shared artifacts we had before. 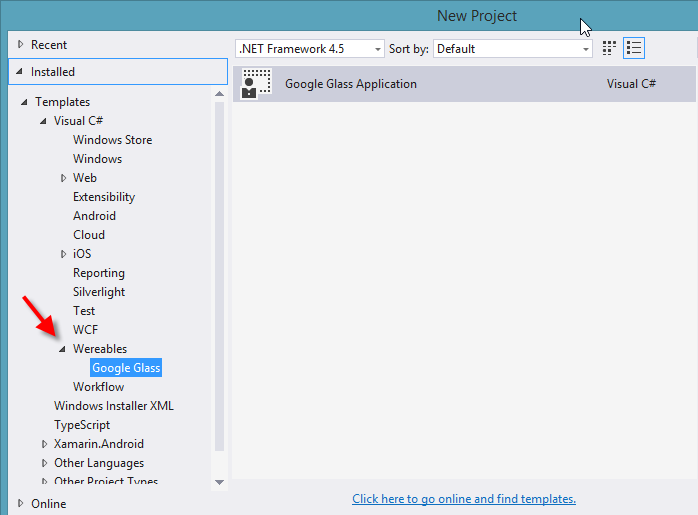 This is significantly more maintainable and flexible than anything the out of the box Visual Studio templates provide. Sayed Ibrahim Hashimi July 7, 2014 at 5:31 am. Have you heard of TemplateBuilder? It solves much of the same issues. Here is a six minute video https://www.youtube.com/watch?v=z33jOo75CH4. The project is on GitHub https://github.com/ligershark/template-builder. We have some templates in SideWaffle (http://sidewaffle) built using this NuGet pig. mbt sport white pink August 16, 2015 at 1:23 am.